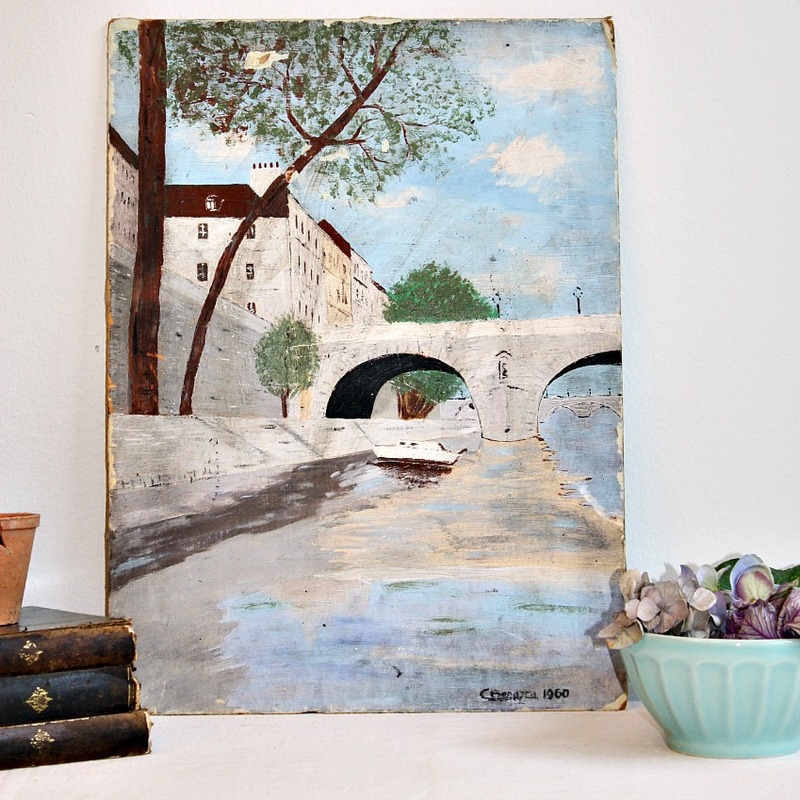 French Fleamarket Vintage Oil Painting depicting a bridge over the Seine river that crosses through Paris. 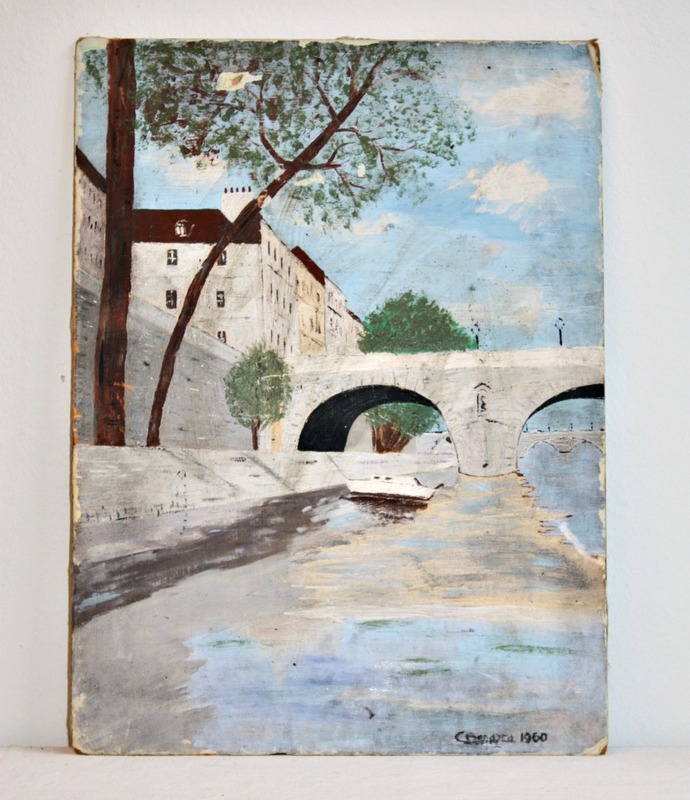 Bought in France, this shabby collectable painting is an original, signed by the artist and dated 1960. 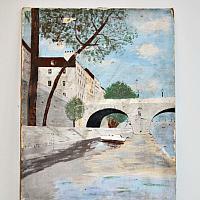 Though not what I consider "great art" these fleamarket paintings are so decorative, painted on artist board. 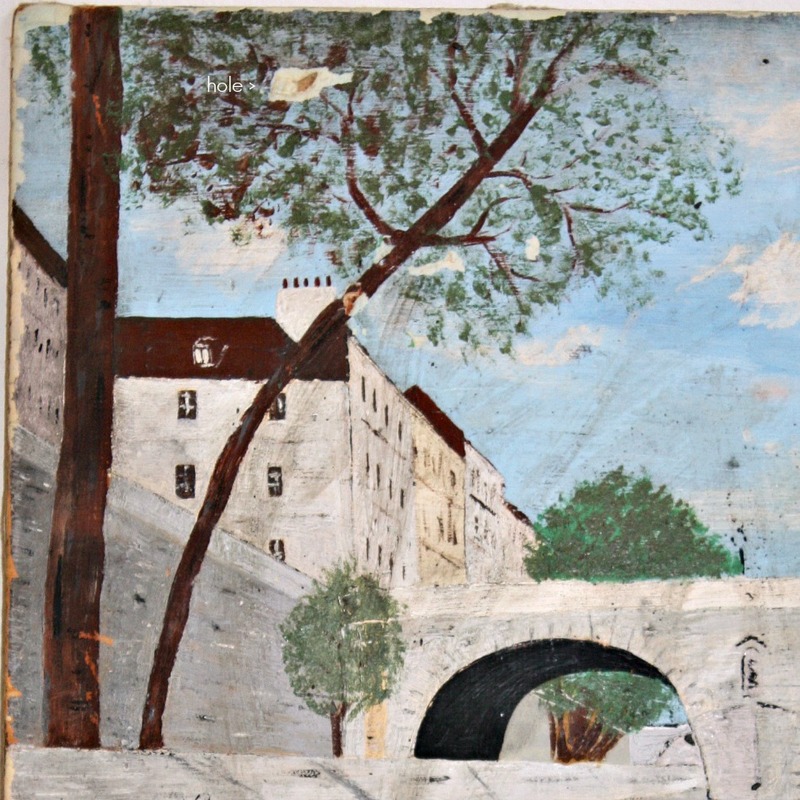 I imagine this painting stood outdoors along the Seine with its friends for awhile, the paint has crackeled over the decades as shown, there are a few holes and wear. Colors are blue, cream, white, green, brown and grey. Paintings like this look amazing in groups. 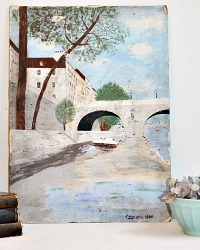 Please enlarge the photos, and please only purchase this painting if you love the relaxed shabby fleamarket style. 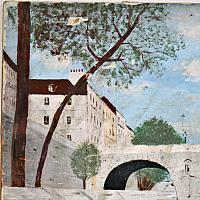 There are spots where the paint has flaked off entirely, this is th shabbiest of the paintings I've acquired.